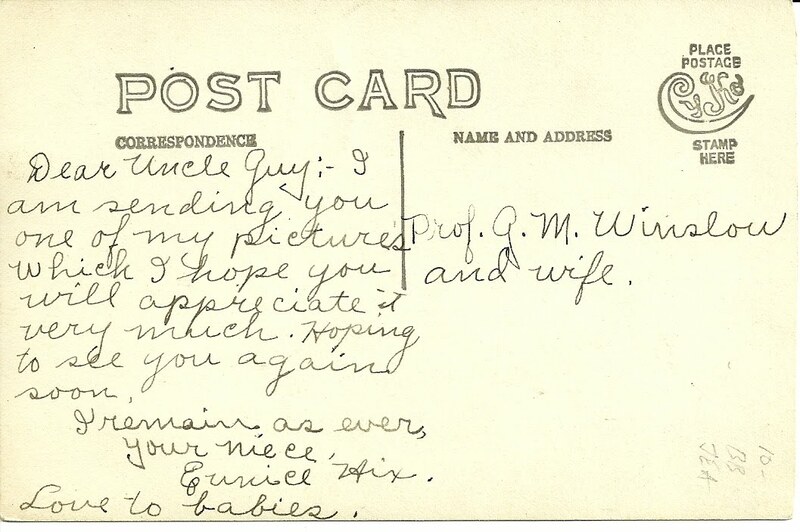 Real Photo Postcard of Eunice Hix, with a message on reverse to her uncle Prof. Guy Monroe Winslow, born in Vermont but lived in Massachusetts during his professional life. I'm not quite sure how Eunice is related to Professor Monroe. 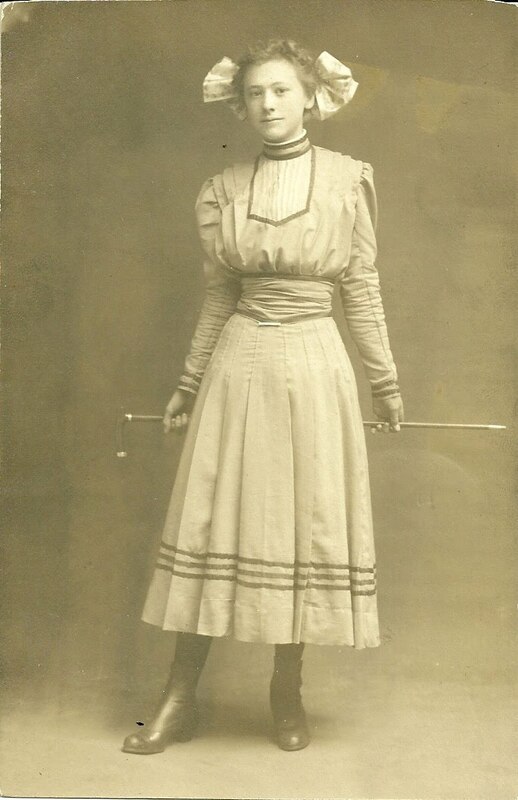 I spent some researching online and could not find where a sister of his married a Hix or where his wife, Clara Mellona Austin, had a sister who married a Hix. Eunice looks too young to be married, though it's possible that she is. And there's always the possibility that Prof. Guy and wife Clara were not really her aunt and uncle. If you have insight into Eunice Hix's identity, please contact me. 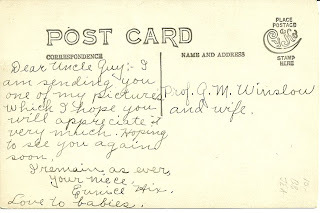 Here is a transcript of the back of the postcard: Dear Uncle Guy, I am sending you one of my pictures which I hope you will appreciate it very much. Hoping to see you again soon. 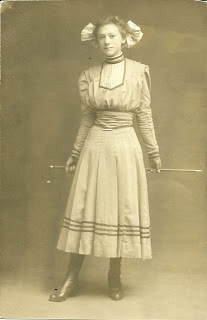 I remain as ever, your nice, Eunice Hix. Love to babies.